Upgrade all your 2 prongs intercom to this Advance 3 wire system. 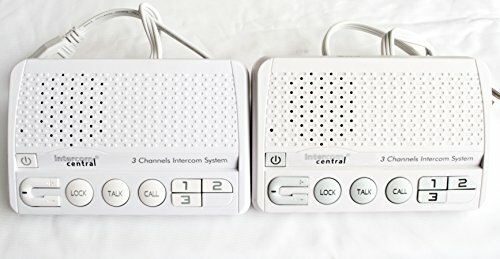 This Intercom communicate by using the Ground & Neutral electrical wires in the house. Since the system communicates by using the power-line in the building, it goes as far as that same piece of electric wire in the house goes.